Another new pair of socks! 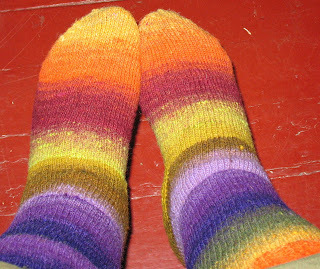 These were finished in July and are made from the Noro Kureyon sock yarn. I love them now and I'll love them more when they are washed. They get all fluffy and soft!